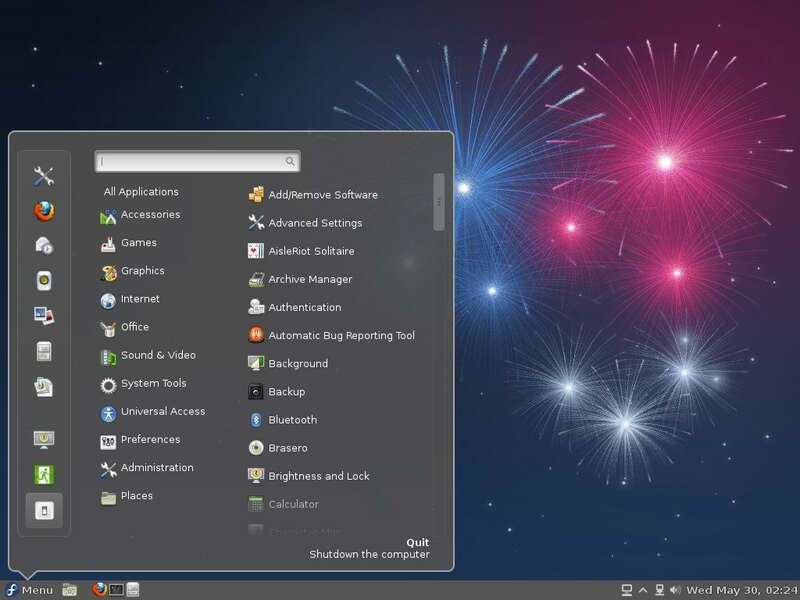 The just released Fedora 17 offers a choice of four main desktop environments – GNOME 3, KDE, LXDE and Xfce. All have their loyal base, but there is a significant segment of the user community that will not use a GNOME 3 desktop in its default state. For those set of users, suitable alternatives are: Modify the interface with extensions, as I showed how to do here, or install Cinnamon desktop, a project from the developers of Linux Mint. Cinnamon appeals to many because it offers the familiar look and feel of the type of desktop environment they are used to. This article shows the simple steps required to install and use Cinnamon on Fedora 17. 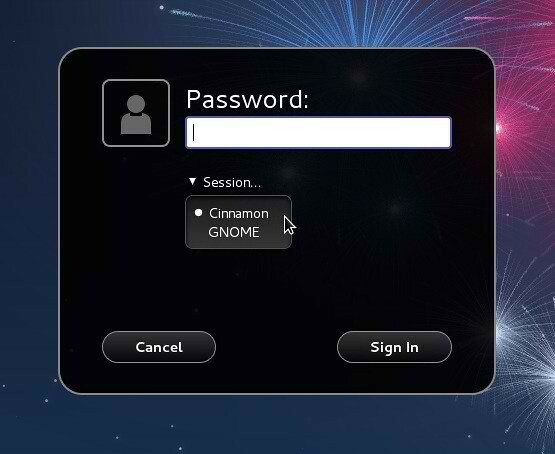 After installation, you should be able to choose either GNOME 3 or Cinnamon from the login screen. To start, you need to download and install two packages from Here. There are 32- and 64-bit versions available, so choose the appropriate version for your platform. The 32-bit versions, available Here, were used for this tutorial. The packages to download, are muffin and Cinnamon. Install muffin first. 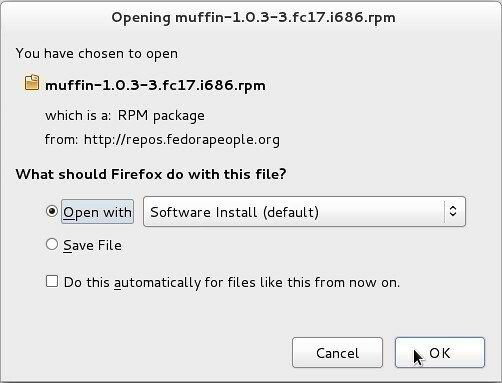 Note that there is a version of muffin in the repository. At version 1.0.2, however, it is one revision older than the latest version available from the given links. When you click on muffin, you should see a window that looks like this one. Ensure that the first option is selected, then click OK.
That should bring up this window. Click Install. When you do, you will be asked to authenticate. After installing muffin, repeat the steps to install Cinnamon. Log out after successful installation of both packages. From the login screen, select Cinnamon from the Session menu to use that desktop. The good thing here, is that GNOME 3 is still available. This is what the default desktop and menu looks like. Very different from the stock GNOME 3 desktop. You may download the latest installation images of Fedora 17 for your favorite desktop environment from here. No Comment to " Install Cinnamon 1.4 in Fedora 17 Beefy Miracle "